The guidelines for pharmaceutical marketing are typically debated all over the world, more so in India. Many issues are not clear and the drug industry interprets the rules the best it can . Cases of unethical promotion of drugs to the health care industry come up with regularity in the western world. Fortunately, no major case has been reported in the Indian media at present. But thats because many such unethical promotional activities havent come to light. There is an urgent need to inform all the concerned parties of the regulatory Dos and Donts of pharmaceutical marketing in India. 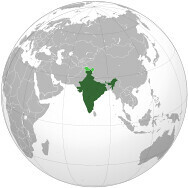 Promotion of drugs in India is governed by three major documents. THE DRUGS AND COSMETICS ACT, 1940 is defined as An Act to regulate the import, manufacture, distribution and sale of drugs and cosmetics in India. It has last been amended in 1995 and new amendments are overdue. The Rules 96 and 97 of THE DRUGS AND COSMETICS RULES, 1945 describe the essential information to be provided regarding labeling of drugs. The product monograph should comprise the full prescribing information necessary to enable a physician to use the drug properly. It should include description, actions, indications, dosage precaution, drug interactions, warnings and adverse reactions. The OPPI code of conduct ( effective since 1st January 2007) sets out the guidelines to be followed for promotion of prescription drugs to the health care industry. It is based on the IFPMA code and incorporates local region ( India) specific guidelines. it sets out certain principles basic to the ethical promotion of pharmaceuticals in the country. Though it is widely followed, it is not legally binding and the final responsibility for implementation lies with the pharmaceutical marketing organizations themselves. Below is a short presentation document outlining the Major points in marketing pharmacutical products to the health care industry.